The Premier League returns this weekend following the end of the international break last night - and it has brought several rumours to digest! 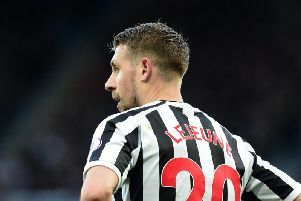 Speculation is flying around England's top flight with Newcastle United waiting on a decision from one of their key players. Manchester United dominate the headlines with players linked with moves to and from the club, including that of a £60million rated midfielder. There is also plenty of rumours surrounding from the likes of Arsenal, Tottenham, Liverpool, Manchester City and Chelsea and we've got you covered. READ MORE: Could these be Newcastle and Sunderland's FIFA 19 player ratings?